At ExclusivePapers.co.uk, we aspire to be as transparent in our dealings with our customers as we can be. Therefore, we have put together this list of FAQs to answer some of the most commonly asked questions. We pay special attention to the privacy rights of our customers. All business transactions that are conducted with Exclusivepapers.co.uk are held strictly confidential. 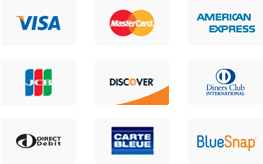 We accept payments using all major credit cards and PayPal. Yes, we offer generous seasonal discounts on all writing orders. Our customer service representatives can answer any questions related to the availability of discounts prior to an order being placed. Do You Guarantee High Quality Work? We not only guarantee high quality work, but also take every measure to make sure that our customers receive the very best papers. We hire the best writers, editors and customer service representatives in the industry. We simply do not sell plagiarized work. This is guaranteed. At Exclusivepapers.co.uk, we understand that the student who hands in plagiarized work stands a chance of suffering stiff penalties. Therefore, we take extra measures to assure that it simply does not happen. Can Your Writers Write in All Writing Styles? Our writers are all familiar with the official guidelines for writing custom papers in all of the commonly accepted standardized writing styles such as MLA, APA, Harvard, Chicago, and others as per our customersï¿½ requests. Do You Store Completed Papers? Only the student who buys a paper from Exclusivepapers.co.uk owns that paper. We keep one copy stored in the studentï¿½s account for a period of one year for customersï¿½ convenience. Can I Directly Communicate With the Writer Handling My Project? Yes, simply make the request to one of our customer service representatives and arrangements will be made. What If I Forget What My Password Is? Passwords may be retrieved with the help of our customer service department. Customers are allowed free, unlimited revisions and amendments, until their expectations are met. What Happens If the Writer Returns My Paper Late? At Exclusivepapers.co.uk, late papers simply do not exist. In the history of our writing service, we have never returned a paper late. We do not expect to begin now! We offer a 100% money back guarantee that says that no paper written by the professional writing team of Exclusivepapers.co.uk will ever be late to meet its deadline! What Services and Products Can I Buy from Exclusivepapers.co.uk? We offer a huge array of products and services, from writing simple custom essays to taking care of the most complex, difficult doctoral dissertation writing. We also do professional proofreading and editing. Is Exclusivepapers.co.uk a Legitimate Business? Yes, we are. We are a licensed, tax-paying business entity. How Might I Order a Paper from Exclusivepapers.co.uk? Read our pricing, terms and guarantee policies. Browse through the many options available and choose the desired product or service. Sit back and wait for the completed custom paper. How Does Exclusivepapers.co.uk Assign Orders to Specific Writers? When we hire our writers at Exclusivepapers.co.uk, each one of them must have at least one specific area of expertise. When a student places an order for academic writing with us, we assign the order to the writer who has the most knowledge about the topic. How Do I Receive the Paper from Exclusivepapers.co.uk Once It Has Been Completed? Students may download their completed papers from their accounts in the Student Area of our website. Upon request, we will also email them a copy of the paper.